Hey there. I lurk these forums every so often just to check up on things here an there. I decided that I should finally make a post after seeing a screen cap of this /v/ thread in the chat archive. I'm the guy that was dumping the manga, and that surprisingly kept the thread from going downhill. Now when ever a Klonoa thread pops up on /v/, I'm almost always there with a comic to dump. 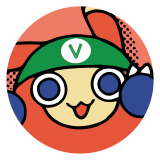 So if any of you guys are /v/ browsers, now you know who I am. Actually I just used his screencap. I do have a couple of my own screenshots from other threads, but not any of the entire thing. Coincidentally, I was one of the people who asked for a .rar/.zip archive of the manga! From /v/ eh? I don't expect Klonoa threads to EVER go well in /v/, so that was a pleasant surprise. Speaking of the manga, I need to post it here. Between working on the English patch, maintaining this place, and having a busy personal life, it's rather difficult at times. EDIT: BTW Nebula, did you register twice? If you need it, I scans of with with all of the chapters translated (they aren't mine, they were done by a guy named powerstone05). The translations aren't as good as the individually translated chapters (which I honestly prefer), but unlike those, this is a complete collection. Also, I think I might have registered twice, I don't recall though. Sure, I'll take it, if you have it in zip folder. It'll save me some time. Here you go. Sorry it took a while, I just needed to get it all organized. Anyways, Welcome to the forums! We hope you enjoy!